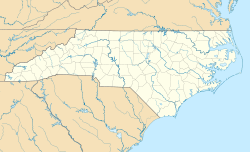 Denver, formerly known as Dry Pond, is a census-designated place and unincorporated community located in Lincoln County, North Carolina, United States. It is situated on North Carolina State Highway 16 on the west shore of Lake Norman on the Catawba River. It is about 25 miles north of downtown Charlotte and just south of the Catawba County boundary. Denver's ZIP code is 28037 and the FIPS place code is 17000. The elevation is 902 feet above sea level. The census of 2000 for Denver's zip code 28037 shows a total population of 13,030 with a median age of 37.3 years. The racial makeup was 95.3% White, 3.2% African American, and 1.5% other races. There were 5,052 households, 77.5% being family households. The average household size was 2.56 people. 82.9% of the residents had a high school education or higher, and 20.4% had a Bachelor's Degree or higher. 70.7% of residents over 16 were employed, with 84.7% of those commuting to work alone in a vehicle. The largest employers were Manufacturing at 20.2%, 'Transportation and warehousing, and utilities' at 11.6%, and Construction at 10.0%. The median household income was $52,304. 3.7% of families were below the poverty line. The median house value was $162,000 with 75.8% having a mortgage, contract to purchase, or similar debt. The community of Dry Pond derived its name from a small pond, which once stood at what is now the corner of Highway 16 and Campground Road, now the site of the local First Federal branch. The pond would dry up in the heat of the summer. Adam Sherrill and his family first settled in the area in 1747, and they were followed by John Beatty two years later. The actual location of Denver was first settled around 1770. Scots Irish and Germans from Pennsylvania were among the first settlers. Most of the early Scotch Irish were Presbyterians, and their first place of worship in what would become the Denver area was John Beatty's house, which was located about one mile west of Beatty's Ford, near the present-day Triangle community. Now known as Unity Presbyterian, the first meetinghouse for this congregation was originally built of logs. In 1808, it was decided to erect a larger building, and a plot of several acres was conveyed for the purpose by James Little to "James Connor, Alexander Brevard, John Reid and Joseph Graham, trustees." Dr Humphrey Hunter, a native of Ireland and a soldier in the Revolution, was pastor from 1796 to 1804. Next came Rev. Henry N. Pharr. He was succeeded by Patrick Sparrow. Mr. Sparrow's father was a potter at Vesuvius furnace, part of the Graham family's local iron industry. Mr Sparrow was the first professor of languages at Davidson College, and afterwards President of Hampden–Sydney College in Virginia. A long-time minister at Unity was Robert Hall Morrison who was first president of Davidson College. The Presbyterians were soon joined by early Methodists from Maryland who initially took up residence near what is now Terrell, NC. Longtime leaders of the Methodists in the region were Rev. Daniel Asbury and Rev. Jeremiah Munday, pioneer Methodist ministers. When he was younger, Rev. Daniel Asbury traveled to Kentucky with some family members (among them the Callaways) and, along with their leader Daniel Boone, he and approximately 20 men were taken hostage by a band of Shawnee Indians. They were carried to the far northwest (present day Ohio) and held in captivity for five years. He later was traded to the British at Detroit and returned to his home in Virginia. In 1791 Asbury established in Lincoln County the first Methodist church west of the Catawba River, which is now known as Bethel United Methodist Church. Rev. Jeremiah Mundy was a native of Virginia and came to Lincoln county in 1799. He was a soldier in the Revolutionary War three years and a minister for thirty-five years. These Methodists brought with them the institution of "campmeeting," which quickly became one of the most important traditions for the region. Interdenominational from the beginning, the local Rock Springs Camp Meeting grows out of these early meetings and traces its history to 1794 when Daniel Asbury, William McKendree (who would become a bishop), William Fulwood and James Hall, a Presbyterian, held the first gathering near present-day Rehobeth Church in Terrell. Most of the land that these Europeans claimed had long been the home of Catawba and Cherokee Indians. Indeed, the Catawba River in this part of North Carolina acted as a border between the two nations who were often at odds with each other. In the earliest days of European settlement, there were episodes of violence between the Native Americans and the new settlers, and eventually a fort was constructed near present-day Statesville to help provide a level of defense for the western portion of the colony. On February 1, 1781, British forces under the command of Lt. General Cornwallis clashed with North Carolina troops led by Brig. Gen. William Lee Davidson at Cowan's Ford, the southern-most limit of present-day Denver. The British were pursuing Nathaniel's Greene's forces following the Patriot victory at Cowpens, S.C. and Davidson's men had been sent to stall and harass his advance. With Davidson was Captain Joseph Graham, a local, who had raised 56 cavalrymen. He had promised that those who furnished their own horses and equipment and served six weeks would be considered as having served a tour of three months. Local blacksmiths made 45 rough swords for the new mounted troops. Only fifteen of Graham's men had pistols, but all had rifles, not the ideal weapon for horseback fighting. Davidson, charged with guarding four of the Catawba River crossings, had sent 500 men to Beattie's Ford, keeping only 25 at Cowan's. But the river was high and Cornwallis did not have access to his heavy guns. Led by a local Tory guide, Frederick Hager, the British began to cross the river early as the Americans were still sleeping. The sentry was not alerted until Cornwallis' troops were within 100 yards of the shore. The battle began, and the strong current was on the American's side. Greatly outnumbered the local forces were able to hold their own, slowly falling back into the woods while returning fire. The British finally took the ford and advanced. General Davidson was shot, and the militia, seeing this, fled. Major Graham's cavalry covered their retreat. The battle had helped a larger force under the command of Daniel Morgan reach the Yadkin River unopposed. It is said that Frederick Hager was the man who shot the gun that killed General Davidson. Most of the early settlers were subsistence farmers who relied heavily upon hunting to supplement their tables. Grist mills and saw mills were among the first "local industries," but the production of iron soon became the biggest industry for the area. By 1810 Lincoln County boasted six ironmaking operations including Vesuvius, Mt. Welcome, Mount Tirzah, Mount Carmel, High Shoals, and Madison. A number of individuals and partners took the lead in establishing ironworks in eastern Lincoln County, most just to the west of present-day Denver, near Pumpkin Center and in the direction of Iron Station. The partnership of Peter Forney, Joseph Graham, John Davidson, and Alexander Brevard was responsible for the construction of Vesuvius Furnace in 1795. Peter Forney built Madison Iron Furnace along Leeper's Creek in 1809. These two sites, like other local ironworks, changed hands at various points. Other individuals involved in the development of the iron industry in Lincoln County include Turner Abernethy, John Fulenwider, Dr. William Johnston, Jonas W. Derr, and J.F. Reinhardt. James Madison Smith later erected Stonewall Furnace in 1862 to help meet the demand for iron brought on by the American Civil War. Operations at Rehoboth (begun in the 1820s) and Madison furnaces also resumed during the turbulent years from 1862 to 1865 to supply much-needed iron for the Southern war effort. William Alexander Graham (September 5, 1804 – August 11, 1875), Denver native. United States Senator from North Carolina from 1840 to 1843, Governor of North Carolina from 1845 to 1849 and United States Secretary of the Navy from 1850 to 1852. In the years before the Civil War, North Carolina's elite in need of a break from the summer heat could escape to Lincoln County's Catawba Springs resort. The popular antebellum destination, named for the Catawba Indians living in the area, was built amidst seven mineral springs near Denver. Guests vacationed there as early as the 1790s. In 1824, geology professor Denison Olmstead recommended the waters of the springs for complaints concerning the liver and weakness. There is little evidence that healing actually occurred; nonetheless Catawba Springs became a popular stop on the stagecoach lines from Salisbury to Asheville. Revolutionary War veteran and state legislator, Captain John Reid was the first known proprietor of Catawba Springs. After his death in 1821, the spa passed through a series of owners: Charles Jugnot, William Simonton, and Joseph Hampton. In 1838, Hampton renovated and expanded Catawba Springs, including the construction of a two-story, 100-room hotel. After the renovation, during parties and on holidays, as many as 500 guests assembled on the porch of the hotel. Before that time, the spa could only accommodate sixty to seventy guests in its cabins. Most guests were members of the southern planter class from North and South Carolina. Among the names of prominent North Carolina families listed in the hotel records are the Grahams, Brevards, Alexanders, Caldwells, Davidsons, and Polks. Some guests made their way to the spa from Mississippi, Alabama, and Louisiana. Students from nearby Davidson College could also be found enjoying themselves there on the weekends. During the early 1840s, Peter S. Ney ran a school for boys at the resort known as Stewart's Seminary. During the Civil War, the local area would raise two units for the Confederacy. In March 1862, a group of local men, most of whom were related, formed a company known as the "Dry Pond Dixies" (Company G, 52nd regiment of North Carolina Troops) and joined the Confederacy. Added to their number were a number of Quakers from Randolph County, NC who did not fight but helped with the wounded. The other group was known as the Beatty's Ford Rifles (Company K 23rd Regiment). In October 1874, Denver's first post master, John A. Kids, was appointed. Mail to the Catawba Springs post office was transferred to the Denver post office the next year. Two years later the community was incorporated as a town by the state of North Carolina. Unfortunately for the citizens of the area, the railroad chose not to run through the growing little town and it began to dry up like the pond for which it was originally named. For much of its existence, "downtown" consisted of a few houses, a handful of stores, a couple of churches, a school, a barber shop, a post office, a bank and a cotton gin. The 1902 Soil Survey map of the Hickory, NC area, shows Denver having a small grid of streets running along what are now Highway 16 and Campground Road. By 1914, the soil survey map of Lincoln County showed only a grid of three short streets running Northwest to Southeast parallel to what is now Highway 16 and one street running parallel to Campground Road (which still exists and was called by locals for many years "Back Street"). Apparently, one of the short streets perpendicular to Campground Road ran beside of what is now the telephone building on St. James Church Road and another of these perpendicular streets connected to what is now Campground Road right at the Rock Springs Campground. Another part of the "street grid" for Denver was "Cemetery Road." It ran beside of Denver United Methodist Church and was perpendicular to Highway 16, then turned in front of the community cemetery and intersected with campground road. The portion that ran beside of the church and perpendicular to highway was "graded under" by the church in the late 1990s. Denver remained largely a farming community with cotton as the primary cash crop supplemented by "truck farming" vegetables to area towns (with tomatoes and strawberries being among the most often marketed vegetable crops). Members of local families began commuting to work in surrounding textile mills of Mooresville, Lincolnton, Cornelius, Maiden, and Mount Holly just before World War II and continued up until the early 1970s. Having failed to elect a local government for many years, Denver lost its official incorporated status in 1971 by vote of the state legislature. It was the filling of a much larger pond, Lake Norman, that led Denver to grow in ways that its early boosters probably could have never fathomed. In 1962, Duke Power built the Cowans Ford Dam, flooding the fertile farmland along the Catawba River "bottoms," the land which had attracted the area's first settlers. Soon, weekend and summer "getaway" homes began to appear lakeside, and after a few years, these were replaced by more luxurious lake homes, as individuals began to move to the area to live near the water. Denver is now largely a bedroom community for Charlotte, NC. During the 1970s, the town hosted one of the largest cross-country motorcycle races in the nation, "The Denver 100," which was a successful fundraiser for the local volunteer fire department. Participants rode through the center of barns, along creek banks, and through pastures—most of which have now disappeared under various housing developments. Up until recently, most African Americans in the area lived in the community known as "Little Egypt," which is the general area near East Lincoln High School along Saint James Church Road. Denver is also home to the Rock Springs Campground that has been the site of revivals and camp meetings since 1794. One of the few continuous camp meeting still occurring is that of the Rock Spring Camp Meeting in east Lincoln County, North Carolina. For a brief period during the 1890s–1910s, Denver was home to small-scale gold prospecting, particularly in the area near the former Triangle School and the community now known as "Westport." The gymnasium at Rock Springs School was built as a part of the North Carolina Emergency Relief Administration, part of the economic stimulus package for the Great Depression 1932–35. Major industry included modular home builder, R-Anell Homes, which recently moved from Denver to a manufacturing facility in Cherryville, NC. The William A. Graham Jr. Farm, Munday House, and Rock Springs Camp Meeting Ground are listed on the National Register of Historic Places. NC 16 - There are two NC 16's that go from north to south in Denver NC. The NC 16 going through town is referred by locals as "Old 16" while the outer route has higher speed limits and is known as "New 16"
NC 73 This route meets NC 16 in the southern area of Denver where you can find lots restaurants, shopping, and gas stations in this area. Going east leads you to Cornelius and Huntersville, going west leads you to Lincolnton. NC 150 This highway is located at the northern part of Denver and brings you to Mooresville to the east and Maiden and Lincolnton to the west. Beatty's Ford Park - (Includes Boat Access for Lake Norman ) This park includes a picnic shelter, restrooms, disc golf, a walking trail, a volleyball court, horseshoe pits, a splash pad area during summer months, two children's playgrounds, and an outdoor fireplace. Rock Springs Nature Preserve - This newer park in Denver includes a picnic shelter, a large children's playground area, a partially paved .4 mile trail with a newly carved extended trail through the woods, the trail includes an outdoor classroom and amphitheater. Rescue Squad Park - Another newer park includes several playing fields, large picnic shelter, modern children's playground, Hilly Trail with 9 Basket Disc Golf Course and is home to Denver's Farmer's Market on Saturdays 8am-12pm (during warmer months). Triangle Elementary School - also known as Rock Springs 2 Elementary School (property sold to the Holy Spirit Catholic Church in 1988). Town festivals have included the annual Strawberry Festival held in May and the Denver Days festival held every September. Each year, Denver hosts its annual Camp Meeting at the Rock Springs Campground in the summer, and has done so since 1794. A Farmers' market is held on Saturdays from mid-April through September at Rock Springs Elementary School. The East Lincoln Betterment Association hosts its annual Christmas Parade in Denver every first Saturday of December. The parade route is generally north along NC Business 16 from Haggers Ferry Rd. and ends just before the intersection of Unity Church Rd. and NC Business 16. Holland Thompson (1873-1940), history professor, pioneered study of the industrializing post Civil War south. ^ Data Access and Dissemination Systems (DADS). "American FactFinder". Factfinder.census.gov. Retrieved 23 January 2016. ^ "DenverNC Home". Denvernc.com. Retrieved 23 January 2016. ^ "Lincoln County NC Parks". ^ "2009 Denver Days Fall Festival". Archived from the original on June 12, 2009. Retrieved June 23, 2009. This page was last edited on 9 February 2019, at 14:36 (UTC).